Ozone observations have been made by means of Dobson spectrophotometer No. 84 in the Geophysical Observatory at Belsk since March 1963. 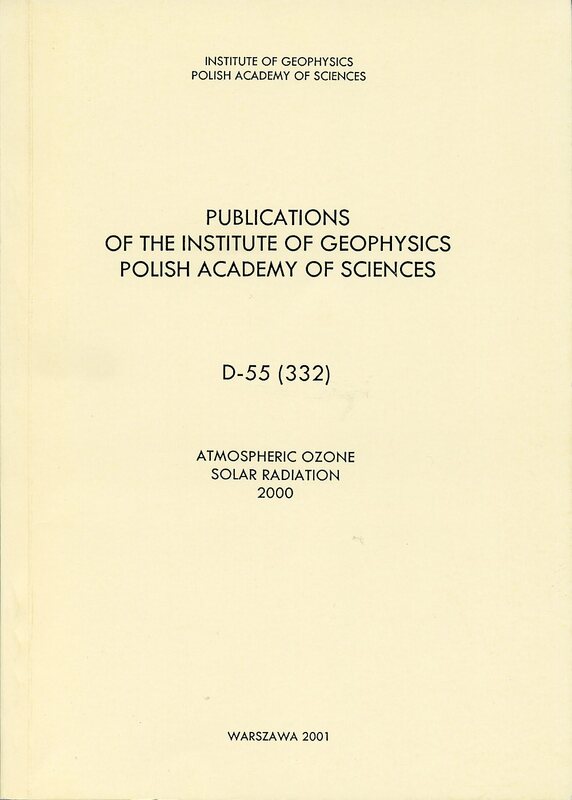 This publication presents all total ozone values and vertical distribution of ozone over Belsk in 2000 obtained from the conventional Umkehr observations. Tropospheric ozone, sulfur dioxide, nitrogen dioxide and carbon monoxide have been measured at Belsk throught 2000. All measurements have been performed by automatic analysers produced by Monitor Labs Inc. (model 8810, 8841, 9850, 9830). The measurement site is located beyond the direct influence of pollution sources (in the region of agriculture activity) and can be considered as rural. Air intake is situated 7 m above the ground. Lack of data results from the malfunctioning of instruments. 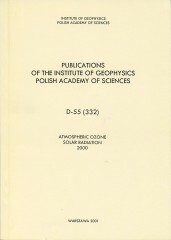 Author(s): Sobolewski P., Puchalski S., Podgórski J.
Measurements of solar radiation were performed by means of a Sonntag pyrheliometer no. 03/82 with the Mastech microvoltmeter of type MY-65, no. 0427127. Differences between measurements through different filters were used to obtain fluxes in four spectral intervals and to calculate mean (for n measurement series) values of the Linke turbidity factor and atmospheric transparency.